This short, macabre adventure follows Peculia, a young woman who has had a number of run-ins with the supernatural. She is roped into babysitting the new family who has moved into Groon Grove. She joins a band of other young women to look after the little girl, baby, and grandmother who live in the house, but something is afoot. They all steer clear of the hawthorn tree, the mirrors are all covered, and - why is the baby missing? And why are the local gypsy families weary of the house? The artwork is depicted in black and white in a gothic style reminiscent of wood carving by Richard Sala. 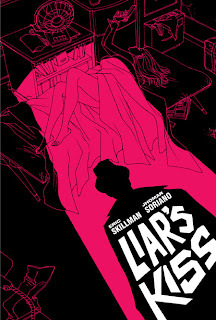 He is a veteran artist famous for his darkly funny and suspenseful tales and his striking, unique art style. His comics are many and include The Chuckling Whatzit and Cat Burglar Black. He frequently displays his artwork and speaks about his works on his blog. This interview with Tom Spurgeon touches on much of his work and career. Like Sala's other works, this one is noted for its humor, horror, and quirkiness. 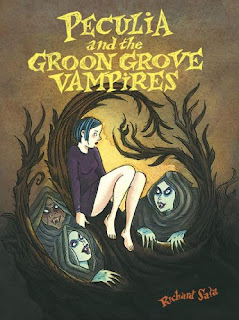 Reviewer Ray Tate notes that the book is quite graphic at points and is not for younger readers. He also enjoyed the fresh take on what can be the tired genre of vampire stories. Dave Carter called the book "spooky" and "fun." The range of reviews at Goodreads varies but mostly skews positive. A brief preview is available from Fantagraphics Books. 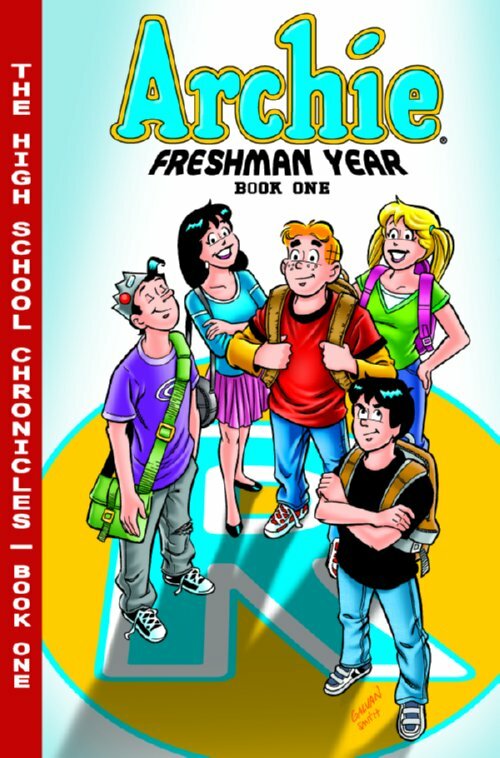 Archie and the gang seem to have been in high school forever, but this book tells the tales of their early days in that institution. It explains how Mr. Weatherbee managed to be their elementary and high school principal, and it also introduces us to the the teachers and students of Riverdale High. We see the start of many conventions, including Moose and Midge's relationship and the Betty-Archie-Veronica triangle. There is even some drama after Jughead is forced to move when his father takes a new job, and the older students make life unpleasant for the newcomers. The comics in this book originally were published serially as five issues. The story was written by Batton Lash, famous for his long-running series Wolff and Byrd: Counselors of the Macabre. He also wrote the unlikely yet extremely satisfying team-up Archie Meets the Punisher as well as a number of Radioactive Man adventures from Bongo Comics. Bill Galvan, known for his work on The Scrapyard Detectives, provides art in his variation on the classic Archie style. He explains his work on this book in this interview, and this interview with Mark Haney also touches on the future of this series. Archie: Freshman Year has been a success as a comic book and an Apple app. A number of positive reviews of it can be found at Goodreads. A preview of this volume can be found at Comixology. A preview for the upcoming sequel can be seen here at the School Library Journal blog. Nick Archer is a private eye in a precarious situation. He has been hired by the wealthy John Kincaid to track his young, beautiful wife Abbey and make sure she is not having an affair. Archer does not take any incriminating photos, but that is because he is the one having an affair with his quarry. When John Kincaid ends up dead, Archer is caught in a situation where he cannot clear his paramour without their trysts being revealed and her being cut out of her late husband's will. So he has to find the real culprit, with or without the assistance of the local police, and there are a number of likely suspects to sort through. 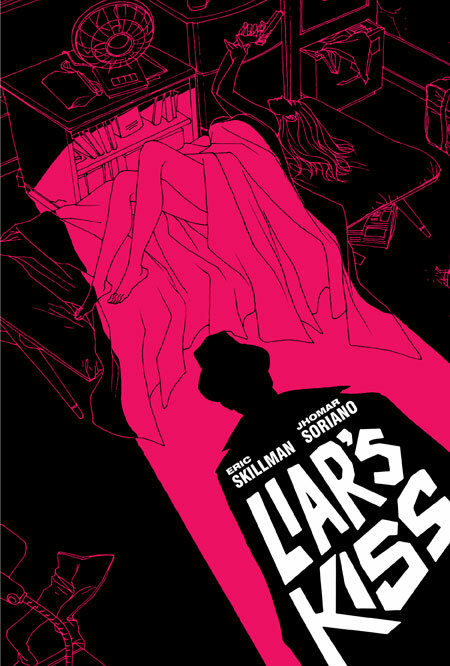 This classic detective noir story was written by Eric Skillman, a graphic designer and art director who is best known for designing covers for the Criterion Collection. He has written detective comics in Egg: Hard Boiled Stories, and this is his first graphic novel. Illustrator Jhomar Soriano is an acclaimed manga artist best known for his work on the International Manga Award of Japan winning books Mr. Grieves and Arkham Woods. He does a great job working in black and white as well as different styles to portray emotional situations and flashbacks. This interview with MTV Geek explains more about the origins of this graphic novel. Although most reviews do not rave about the book, they acknowledge that it is a well written and well drawn volume. Comics Should Be Good's Greg Burgas enjoyed the momentum of the story until the ending, but he wrote that "even with the strange ending, it fits together nicely, and I always appreciate a clever mystery." The Comics Journal's Nathan Wilson called it a "solid story with powerful illustrations." Johanna Draper Carlson found the book "enjoyable escapism that puts a fresh twist on the private eye yarn." This volume collects a number of webcomics originally published by Ingredient X Entertainment. It is divided into two parts, the first more chronological, about childhood and school, and the second more free-form, about love and adult life. I will not say that the strips are all funny, but they all have an emotional rawness and offer much that readers can empathize with. Lev portrays a world of isolation and alienation that seems to me reminiscent of Matt Groening's Life in Hell comics in terms of form and content. Lev Yilmaz is a San Francisco based cartoonist and film maker who has been showing Tales of Mere Existence cartoons at film festivals since 2002. He also publishes these videos on YouTube and has quite a following. This profile written by Jane Ganahl offers more insight into his life and work. This collection is appealing to many but may cater to specific tastes. The Boston Bibliophile Marie recommended this book "to folks who like cynicism and sarcastic humor." The Graphic Novel Reporter's William Jones wrote that the Yilmaz's honesty makes "every page a new experience." There is a greater range of reviews at Goodreads. 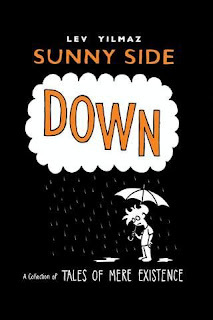 Sunny Side Down was published by Simon & Schuster, who provide a preview here. In addition, there are a number of other Lev videos posted here. This volume reprints three classic Smurfs stories, the title story for the first time. "The Purple Smurfs" is reminiscent of a zombie film and has a frightening undertone. The story recounts what happens when a Bzz fly bites a Smurf and turns him into a purple menace. Becoming mean and violent, the purple Smurf spreads a contagion by biting others. Papa Smurf - who is surprisingly gruff - recalls this happening once before when he was younger, but after 104 years he's forgotten the remedy. The other two tales, "The Flying Smurf" and "The Smurf and His Neighbors" are enjoyable and more fantastical and funny. The Smurfs have been around since 1958. The creation of Belgian artist Peyo (Pierre Culliford), Smurfs have appeared in comic books, cartoons, toy stores, and countless other places. They are an international phenomenon that have been translated into multiple languages, and they recently were given big budget Hollywood attention in a new movie version. Two of the stories here were written by Yvan Delporte, long-time editor of Spirou magazine, the landmark publication where the Smurfs first appeared. 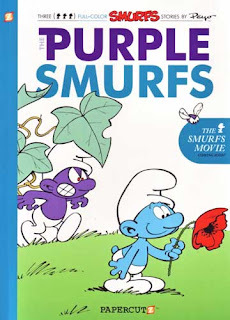 "The Purple Smurfs" was originally called "The Black Smurfs," and this story has only now been reprinted in English, changed so to avoid smacking of racism. Reviewer Greg McElhatton was not expecting to like the book and was surprised he found it very enjoyable. Comics in the Classroom's Scott Tingley and his daughter both found the book "super awesome." Lee Newman wrote that in addition to the fantastic art "the stories are full of charm and smurfy language." The Purple Smurfs was published by Papercutz. They provide a preview here. This graphic biography focuses on Richard Feynman, an accomplished physicist who became a household name through his popular lectures and books, Surely You're Joking, Mr. Feynman and What Do You Care What Other People Think? He accomplished much in his life, winning the Nobel Prize in Physics for his work on quantum electrodynamics. He also worked on the Manhattan Project to develop the first US nuclear bomb and on the commission to determine the causes of the Space Shuttle Challenger disaster. Feynman often approached problems from unique angles, was not afraid to argue with authority figures, and was also a bit of a prankster. He also had a passion to explain the most complicated ideas in ways that laypeople could also understand. His personality and affect served him well in the scientific community, and it is much celebrated in this book. 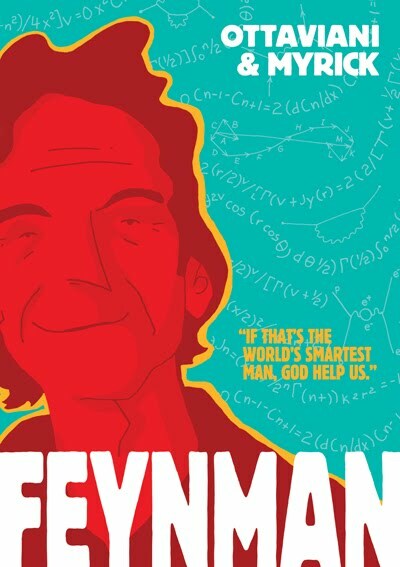 Feynman is the creation of writer Jim Ottaviani, who has written a number of great graphic novels including ones about the early days of paleontology, the space race, physicist Niels Bohr, and women science pioneers. It was drawn by Leland Myrick, an Ignatz and Harvey Award nominated artist who is best known for his graphic memoir Missouri Boy. This detailed discussion with Robin Brenner at the School Library Journal website gets at many details of this book and Feynman's life. Thus far, this has been an extremely well reviewed book. The New York Times Book Review's Freeman Dyson remarked that this graphic novel "somehow comes to life and speaks with the voice of the real Feynman." The reviewer at Publishers Weekly wrote that this book proves "that the most dogged intellectual pursuit can still be a good time." 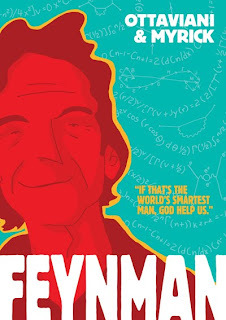 The reviewer quantum at the Physics Buzz blog gushed that "Feynman is a true testament to both the uniqueness of Richard Feynman as one of the twentieth century's most remarkable scientists, and the exceptional ability for comics to capture his one of a kind personality." Feynman was published by First Second. An excerpt, video preview, and copious other information about the book is available here. A slightly altered excerpt also appears here at Kate Beaton's webcomic, Hark! A Vagrant.